Since its founding in 1995, Carlson Design Group has been dedicated to creating unique and timeless residential homes throughout California and Colorado. The diversity of our architectural designs has come from a collaboration of listening intently to our clients’ dreams and the artistic hand and eye of Eric Carlson. As an accomplished Artist and Architect, Eric believes strongly in the lost art of hand drawing, while at the same time integrating the magic and precision of the computer to aide our clients in visualizing their future home. We are extremely passionate about our work and strive to create beautiful homes that celebrate light and a seamless indoor/outdoor relationship. Business focuses on residential design projects of any scale, from small kitchen renovations to additions to custom designed homes. designATplay is a design and construction studio, eager to create and innovate. 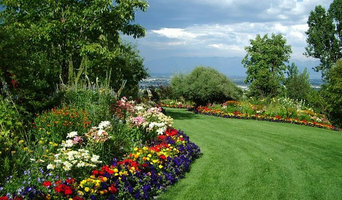 Our focus is high end residential custom homes, as well as light commercial projects. We are a fully integrated studio with licensed and insured contractors and designers, our expertise spans from the architectural planning stage all the way to your finished dream home and includes furniture design and construction as well as high end carpentry work. At designATplay we pride ourselves in our craftsmanship, quality and efficiency. With us you don't just get a builder or an architect, you get both, as well as an interior designer and master carpenter. 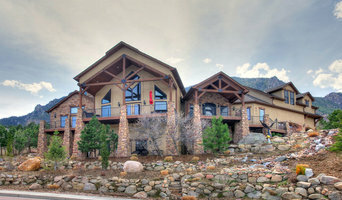 Custom Log home design and construction. 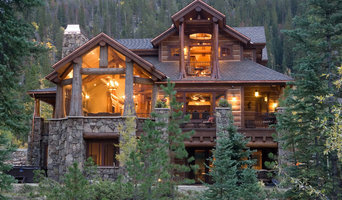 Building a quality log home that will last requires hands on experince. That's why we don't sub out the important stuff like other builders. Dan and his crew has over 20 years experience building handcrafted chinker style log homes from bone dry Englemann Spruce that won't twist, warp, or settle like othe log homes.